Enjoy T3 magazine and unlimited access to over 4,013 magazines on your mobile and tablet. All the magazines you can read for just £7.99 a month. 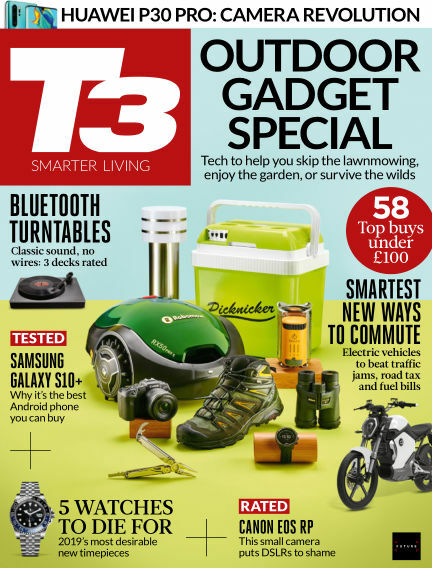 Your monthly bible for better living through technology, T3 is the UK's biggest-selling digital edition and the leading authority on high-tech consumer gear and gadgetry, from iPads to e-bikes. Whether its exclusive hands-ons with the latest smartphones and trials of the hottest fitness kit or the most cutting-edge cars and connected home must-haves, T3 is your essential sidekick to upgrading everything you do. Each issue is packed with exciting innovations, unflinching reviews, in-depth investigations, expert advice, great photography and much app one- upmanship across what can boost your life today and what may change your world tomorrow.